The bi-annual exercise ARCTIC CHALLENGE can trace its roots back to the implementation of the so called Cross-Border-Training (CBT) between the Air Forces of Finland, Norway and Sweden. 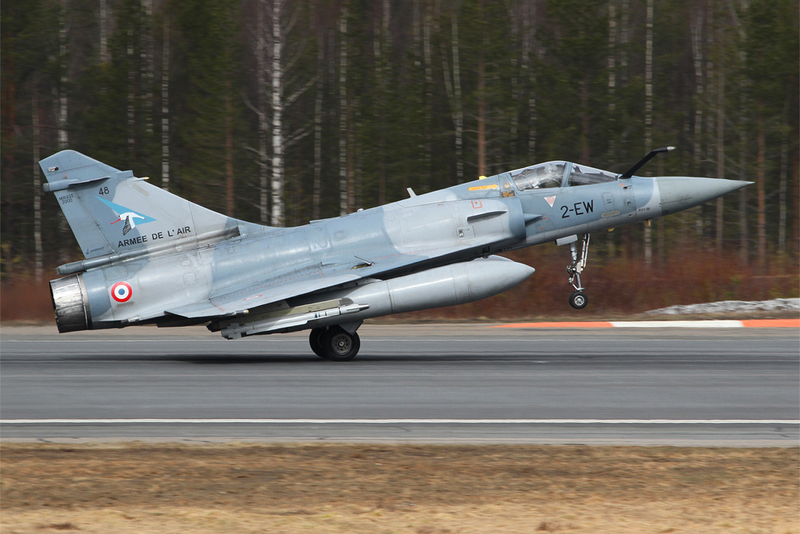 Since 2009, this three Nordic Air Forces conduct on almost weekly basis combined air combat training missions. This missions are being flown from their respective home bases. 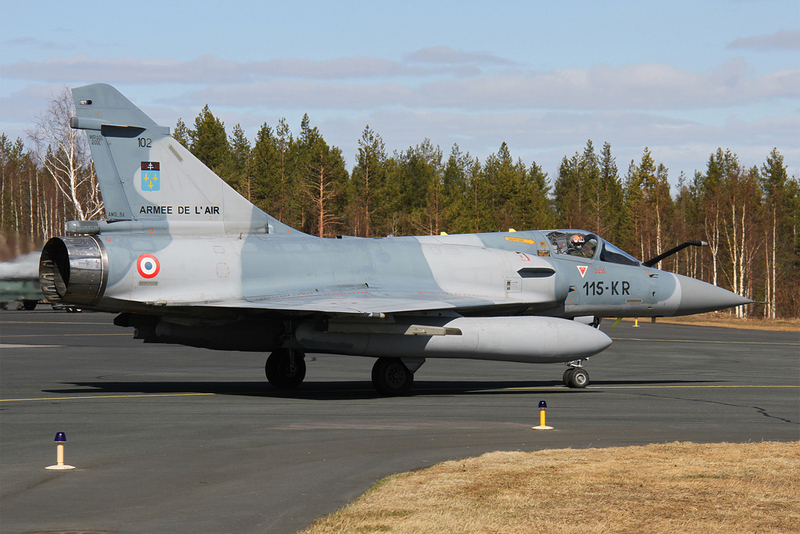 Often the Royal Danish Air Force and the USAFE are also participating in this training missions. The main reason behind the creation of the CBT-concept was the desire to benefit from the positive effects of a combined exercise together with the necessity to cut down costs. In 2011, discussion begun to upgrade once every two years one of this CBT-exercises into a large scale INVITEX-exercise, meaning that invitations would be sent to different Air Forces, asking if they want to participate. Each of the three partner nations would resume, one after one, the responsibility to lead the exercise. In 2013 Norway begun, in 2015 it was Swedens row and this year, Finland has for the first time the responsibility for planning and directing the exercise. Since the first ARCTIC CHALLENGE exercise in 2013, every year saw a steady increase in the number of participating countries and aircrafts (2013: 5 countries/90 aircraft, 2015: 9 countries/100 aircraft, 2017: 11 countries/110 aircraft). 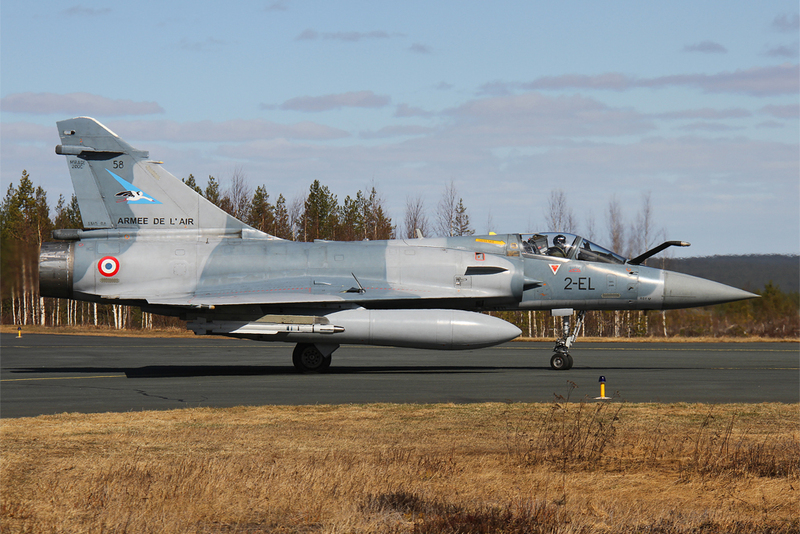 The first target during the development of the exercise ARCTIC CHALLENGE was, to create a realistic environment for the proper training of the Nordic Air Forces. This expanded with time to provide a challenging and demanding high-threat environment for the participating Air Forces, with the inclusion of simultaneous smaller scale Army and Navy exercises. The end target is, to become one of the most important large scale air-exercises in northern Europe and the Arctic region. To reach this target, a fully simulated combat environment is being provided to all participants, together with the opportunity of using different kinds of target ranges (over land and over sea) for absolutely realistic training conditions. Specially designed to simulate modern, complex and intensive air operations, day and night, in order to provide realistic training and to improve the capability of multinational contingents to participate in combined air operations for the purposes of crisis management, the bi-annual exercise ARCTIC CHALLENGE is the frame where personnel and aircraft are tested to the limits of their capabilities. This frame gives to all participants an unique opportunity: To exercise inside a layer of multiple, unexpected threats as members of combined strike packages against RED Forces and a multitude of different ground-based air defence systems. This years edition of exercise ARCTIC CHALLENGE started on Monday, 22nd of May and ended on Friday, 2nd of June. It was the biggest until now with over 100 aircrafts participating from 11 countries, with around 1.000 military members. This 12 days of intense training offered again many novelties: More participating Air Forces, greater number of flown sorties and first participation of an AESA-equipped fighter. The inclusion of the USAFE Eagles with their AESA radar, was a big step forward into the next level of the exercise and showed in a practical example to every participant, what the future of air warfare entails. During the exercise, a multitude of different aircrafts could be seen flying missions. This included beside multi-role fighters, also transport and liaison aircrafts, aerial refuelling tankers, airborne warning and control system aircrafts, transport aircrafts and search and rescue helicopters. As with the previous editions, also this time the participating Air Forces were distributed to bases in all three host nations (see Table 1). As far as the Rovaniemi-based countries are concerned, the Finnish Air Force, as leading nation for exercise ARCTIC CHALLENGE 2017, participated naturally with a great number of all kind of aircrafts and helicopters. 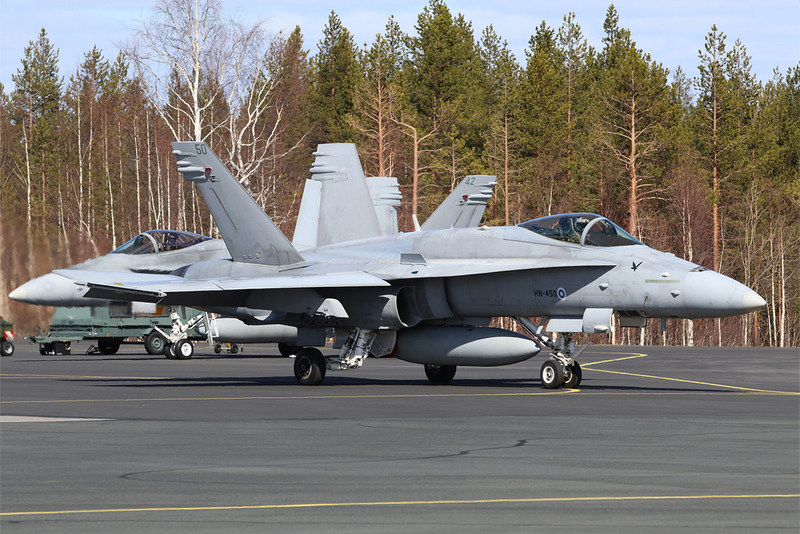 The exercise was also the first real test for the recently upgraded to MLU 2 standard Finnish Air Force Hornets (see Box 1). This upgrade included among other, the capability to use standoff Air-to-Ground weapons like JASSM, JDAM and JSOW. 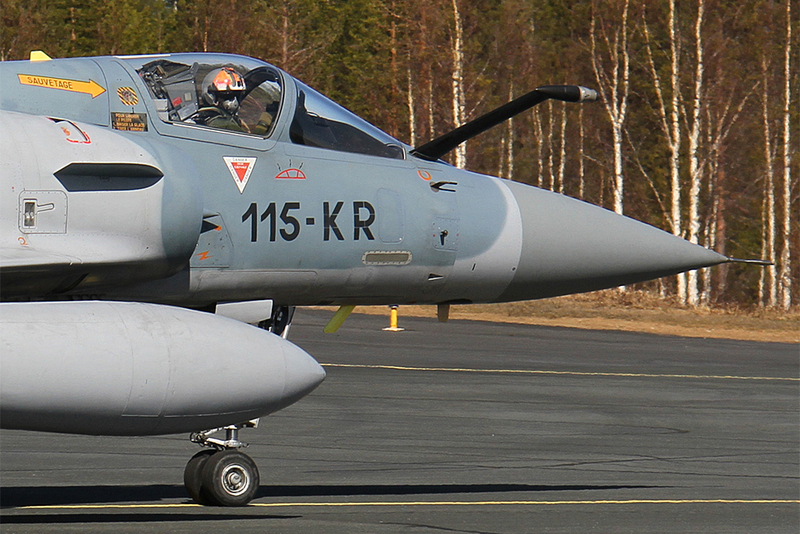 The largest load to bear, had the Rovaniemi-based fighter squadron 11 (HävLLv 11). Their Hornets were seen using the Northrop Grumman AN/AAQ-28(v)5 LITENING AT Block 2 targeting pod during the exercise. 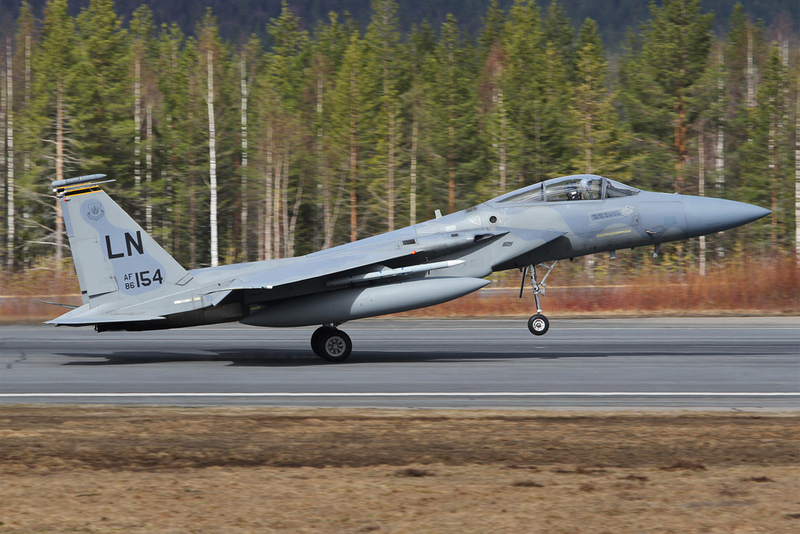 Fighter squadron 31 (HävLLv 31), based in Kuopio-Rissala, participated also in the exercise, but only on selected missions. 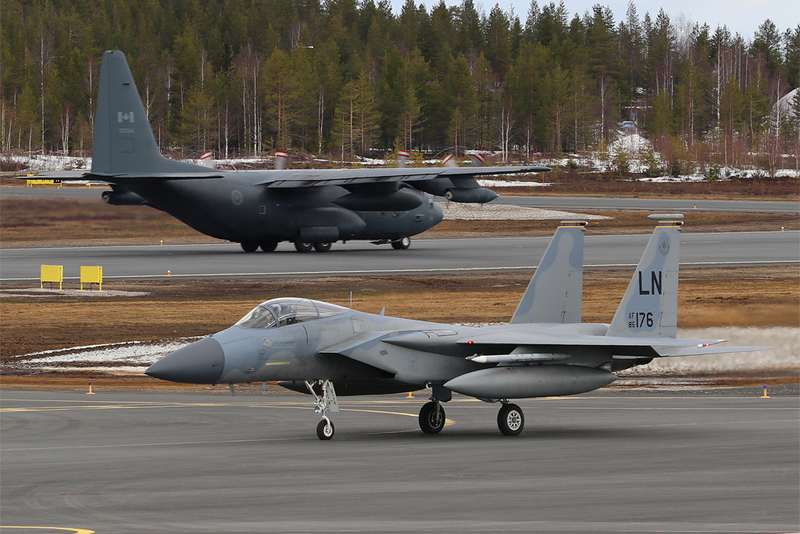 The electronic warfare, liaison and transport aircrafts from the support squadron (TukiLLv), based in Tampere-Pirkkala, supported the whole exercise, by flying from their home base and sending a detachment to Rovaniemi. During the exercise an elevated readiness for Search and Rescue missions (SAR) was maintained in all exercise bases for rapid response in case of incidents and accidents. At Rovaniemi, NH-90 helicopters of the Finnish Army Utin Jääkärirykmentti, UtJR (Utti Jaeger Regiment) Helicopter Battalion (HekoP, based in Kouvola-Utti) were on 15 minutes alert during the exercise flight operations. The Royal Canadian Air Force (RCAF) participated for the first time at an ARCTIC CHALLENGE exercise. Her contribution was a CC-130H tanker aircraft from 435 Squadron, based in CFB Winnipeg, Manitoba. The exercise was of great value for the RCAF, especially in regard of international cooperation with other northern NATO and non-NATO member states. Also, because of the increasing importance of the Arctic region in the future (raw materials, hydrocarbon exploration, etc. ), it is of importance to Canada to strenghen the bonds between the nations in the far north. 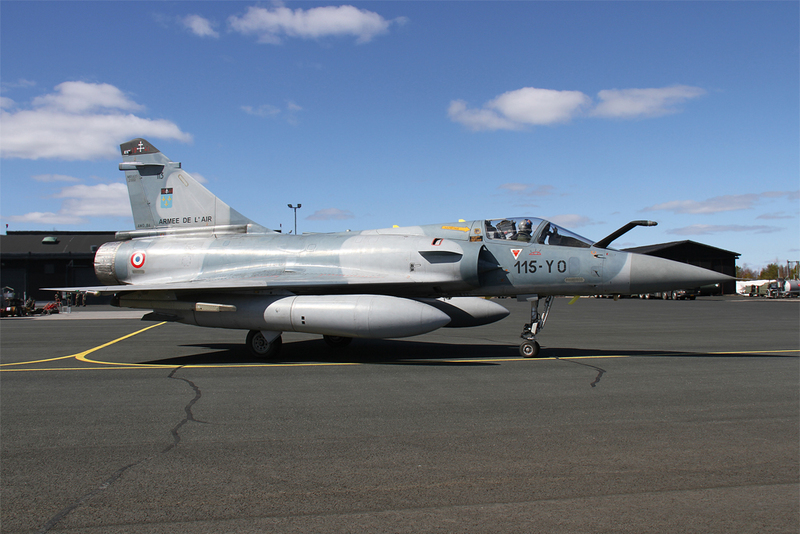 The French Air Force participated with not fewer than 3 different fighter types from 4 squadrons. Mirage 2000C from Orange, Mirage 2000-5F from Luxeuil and Rafale B from Mont-de-Marsan and Saint Dizier. Emphasis was given to Air-to-Air missions. 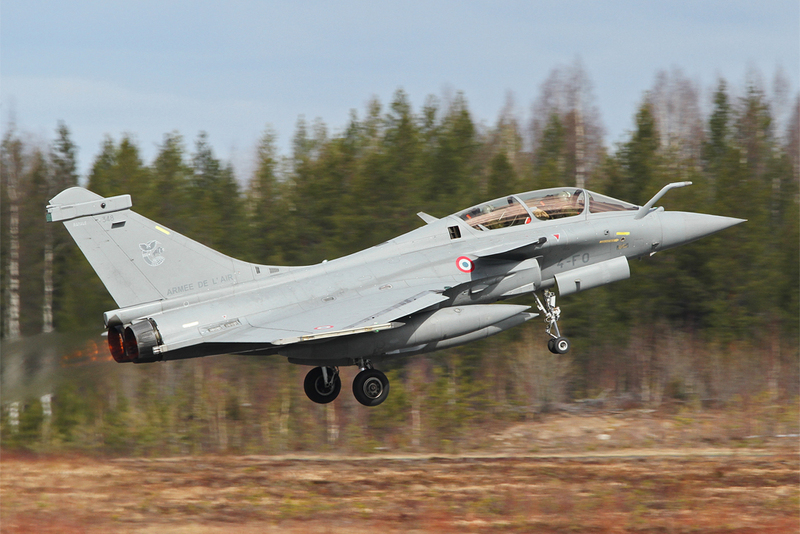 The French participation was also interesting, under the aspect of the fighter procurement programme of the Finnish Air Force. 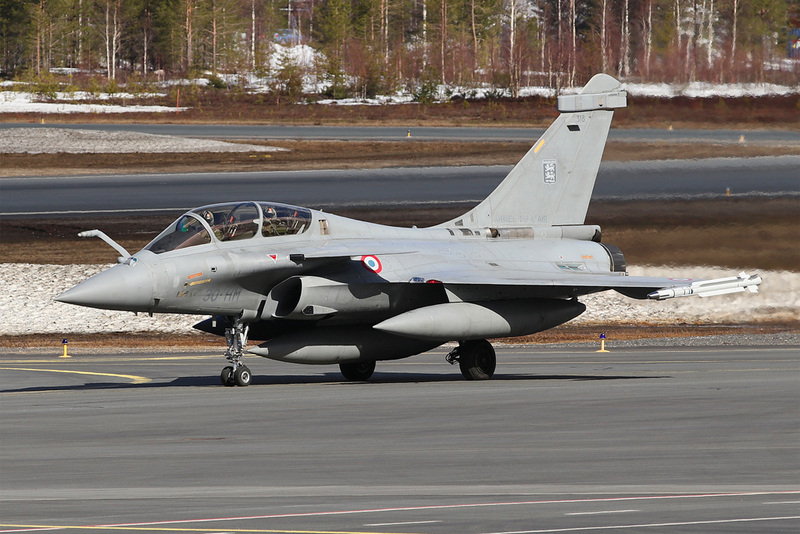 The Rafale is one of the candidates to replace the F/A-18C/D in Finnish service. The German Air Force participated with an A310-304MRTT tanker/transport aircraft from FBS BMVg, Köln-Bonn. According to the German Detachment Commander, Lt Col D. Jertz, the exercise showed once again the great importance of tanker aircrafts for modern air-warfare. Modern air power cannot be imagined without tanker support. During ARCTIC CHALLENGE 2017, the A310-304MRTT proved once again, despite his age, that he can still contribute a lot and showed his great flexibility. But, the end is coming for this versatile workhorse. The German Air Force has already ordered A330MRTT tanker/transport aircrafts for future use with the Multinational MRTT-Fleet, based in Eindhoven, the Netherlands under the umbrella of the European Air Transport Command. 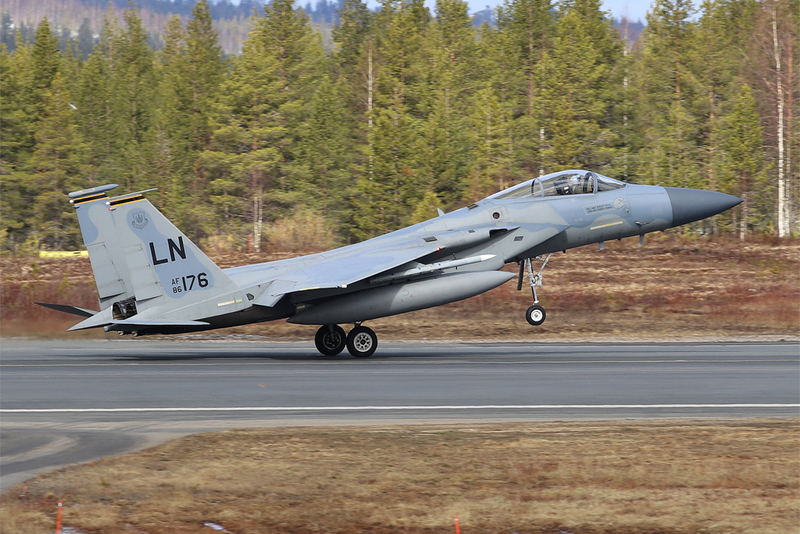 The United States Air Forces in Europe (USAFE) sent to Finland F-15C/D Eagles from the 493rd FS, based in RAF Lakenheath, United Kingdom. The USAFE primary objective was to work together with partner nations and allies in order to increase the interoperability capabilities. This kind of international exercises, where every nation brings in their expertise and experience, play a very important role for the USAFE, because they allow them to see and learn how partners and allies plan, execute and debrief some very complex missions. With their row, the USAFE passes on this expertise to CONUS-bases USAF squadrons. During the second week of ARCTIC CHALLENGE 2017, B-52H strategic bombers flying from their respective home base were participating in specific missions. Flying was performed in two daily waves from 9 till 18 Finland time (from 8 till 17 Norway and Sweden time). 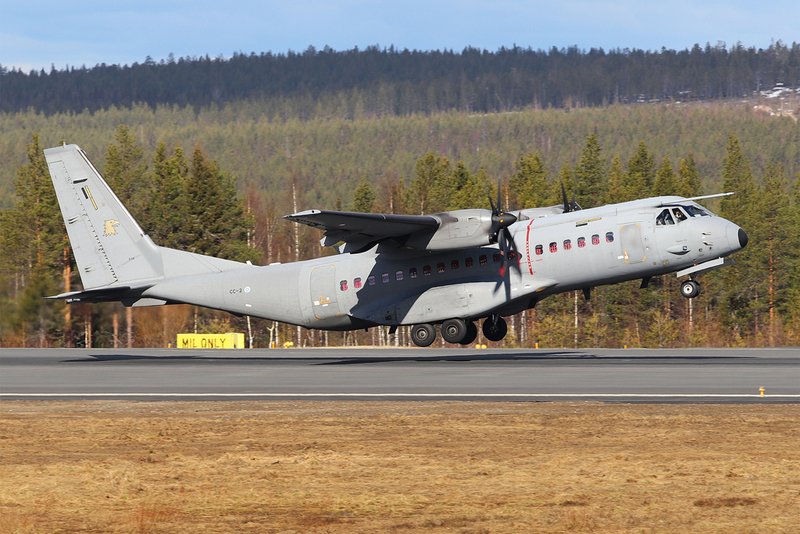 The training area included the whole of northern Scandinavia, with the main bulk of the missions being flown over the vast unpopulated areas of Swedish Lapland. Due this this fact, live firing missions could be performed without any restrictions. The goal of ARCTIC CHALLENGE 2017 was increasing interoperability between the Air Forces of NATO and non-NATO countries when conducting large-scale air operations. The exercise scenarios were based on a mandate from the United Nations to project a multinational stabilization force should it be needed. Each day around 90 aircrafts in total participated during the missions. During the morning wave each base flew separated missions. The missions focus was on Dissimilar Air Combat Training (DACT) or Air Combat Training with small groups of aircrafts engaging different types of training adversaries. During the afternoon wave, all aircrafts were coming together for a large-scale Composite Air Operations (COMAO) mission. For both waves, and in the frame of the DACT or COMAO missions, all participating aircrafts had been split into scenario-specific detachments: A detachment participating in crisis management air operations and a detachment simulating an opponent (RED Forces). The flight missions were divided equally between the participating countires so that each country had the chance to take part in the air operations in both roles. The challenges during the flight missions were increasing as the exercise proceeded. At the end of each training day, the crew members at all three bases participated in extensive debrief sessions to discuss the lessons learned from the days scenarios, which was accomplished through a group video conference. A difference in the missions conducting by the fighters flying from Rovaniemi and the fighters flying from Bodø and Luleå was the fact, that the firsts flew mainly Air-to-Air missions and acted also as RED Forces, while the others flew mainly Air-to-Ground missions. Also worth mentioning is the fact, that no live ammunition was used in Swedish shooting ranges. 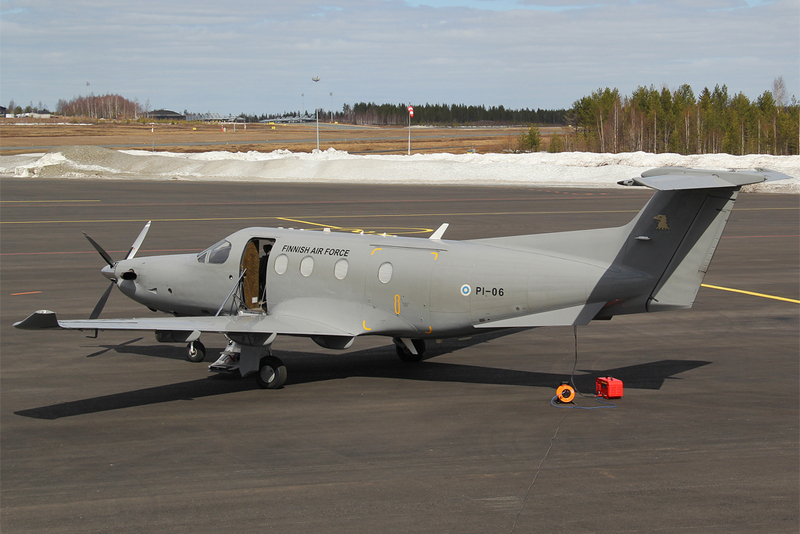 Because of the increasingly demand for the use of electronic warfare in modern air combat, ECM/EW-aircrafts of the Norwegian Air Force and Cobham plc were used throughout the whole exercise. With their sophisticated electronic systems, they contributed to the increase of the realism of the missions. All participants were supported by tanker aircrafts, which flew either from the exercise bases or from their respective home bases. Exclusively as RED Forces were acting ground-based air defence systems of the respective Armies. According to Colonel Petteri Seppälä, Exercise Director, from the Air Operations Centre of the Finnish Air Force, ARCTIC CHALLENGE 2017 was really an excellent demostration of the Finnish, Norwegian and Swedish Air Forces versatile and high advanced cooperation capability. The ARCTIC CHALLENGE exercises are unique among similar air-exercises, because of their joint nature. They are being planned, prepared and executed as a joint effort between the three Nordic Air Forces. 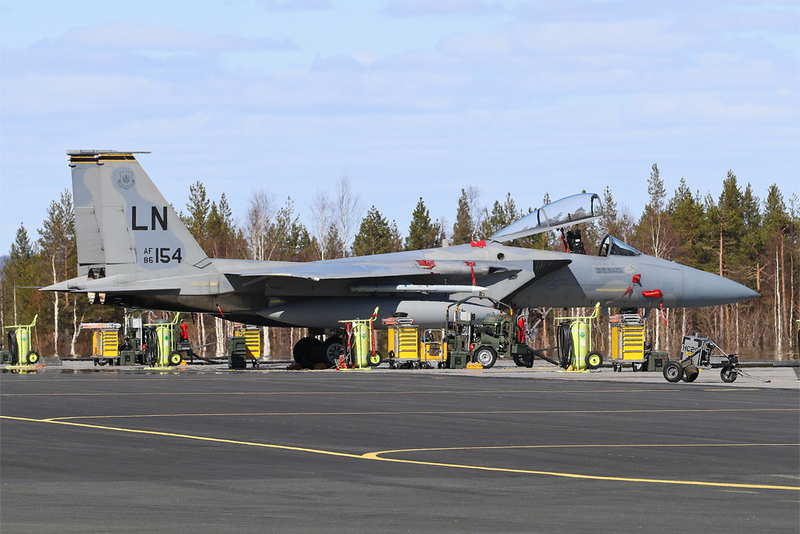 In particular for Finland, it was the biggest ever staged air-exercise. When asked about the reasons behind the increasing international interest in this exercise, Col. Seppälä explained, that the high quality of the exercise planning and execution process shown in 2013 and 2015 has definitely increased the interest. This increased international participation is leading to a synchronous increase of the exercise difficulty, which in turn leads the participating nations to be very satisfied with the benefits gained from the training events. He continued, saying that from the Finnish perspective the most important lessons learned relate to the execution of command and control during complex air operations, the improvement of air crews skills in varied missions and the base support activities to host multinational units. All foreign participants praised the realistic simulation of combat scenarios and the multitude of unexpected simulated threats that the Finnish Air Force General Staff incorporated in to the exercise to keep the participants always on alert. The foreign participants spoke also praiseworthy about the contribution and professionalism of the Finnish Air Force. Highly praised was the fact, that they could operate without most of the restrictions usually compromising in terms of realism and training quality many central European exercises. And last but not least, the geographical relief of northern Scandinavia was helpful, providing plenty of opportunities for a realistic training in a somewhat different surrounding than most participants are accustomed to operate. Of course, likewise of high value, was the chance to increase the collaboration, to share common values, to send a strong, common message of stability and protection of peace during this difficult times, and the opportunity to lift the spirit of cooperation among the participating Air Forces, to support the productive exchange of ideas among them and to produce synergy effects. The exercise ARCTIC CHALLENGE is turning slowly but steadily in one of the most important large scale air-exercises in northern Europe, providing a wide range of different mission targets. A testament to this, is the growing number of countries wishing to take part. This will even further increase the dynamic and appeal of the exercise. The future of ARCTIC CHALLENGE looks bright! The next exercise will be held in 2019 with Sweden as the lead nation. On 9th of December 2016, the last Finnish Air Force Hornet (HN-465) having undergone the second mid-life upgrade (MLU 2) was rolled out of Patria Aviation production hall in Halli. 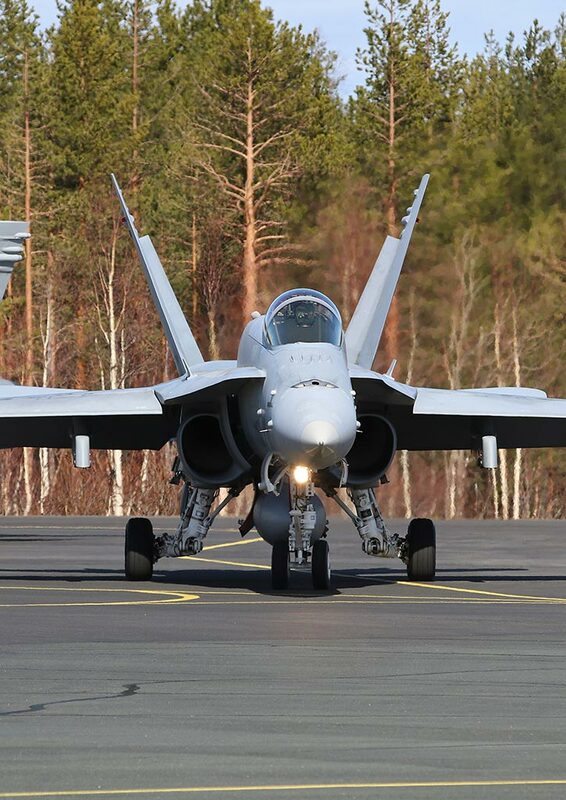 All current 55x F/A-18C and 7x F/A-18D of the Finnish Air Force have been upgraded to MLU 2 configuration. 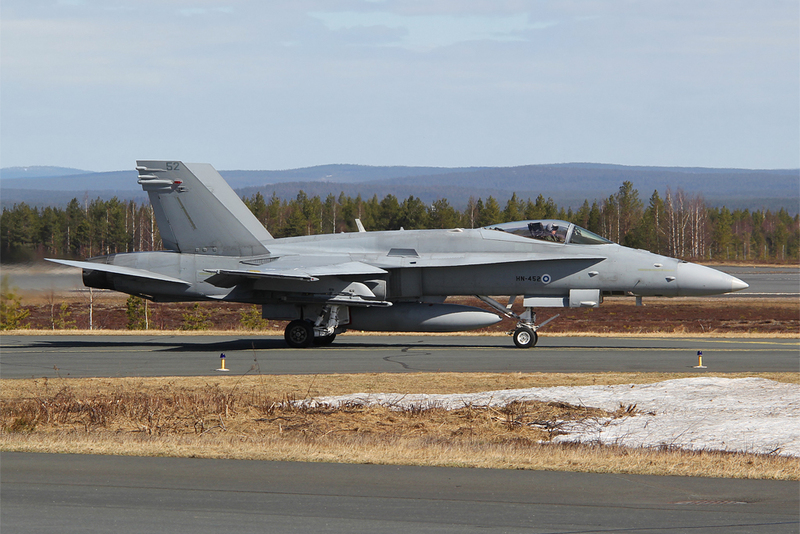 This upgrade brought with them a change in the designation of the Finnish fighters, from F-18C/D to F/A-18C/D, due to the ability to use now standoff Air-to-Ground weapons to support land, maritime and air operations, something missed until now from the Finnish Hornets, due to the restrictions of the 1947 peace treaty between Finland and the Soviet Union. The Finnish Air Force Hornets have undergone two mid-life upgrades. The mid-life Upgrade 1 (MLU 1) completed in 2006-2010 was aimed at maintaining and improving the aircrafts Air-to-Air capability. One of the most significant improvements given by MLU 1 was the incorporation of a helmet-mounted sighting system mated with the AIM-9X Sidewinder infrared guided missile with a wide-angle seeker head for enhanced close-in air combat performance. The mid-life Upgrade 2 (MLU 2) in 2012-2016 focused on providing Air-to-Ground capability. Special thanks to the exercise organization and to all the public information officers from Finland, Sweden and Norway.